I'm currently on the final stretch of my kitchen renovation (woo!). Throughout the design and renovation process, I have been inspired by a number of British kitchen design studios. 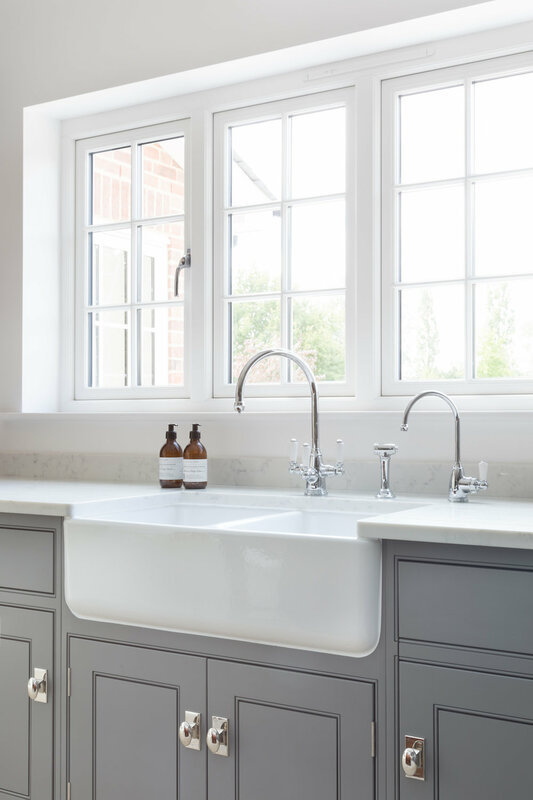 There is something timeless about kitchen design across the pond that I think we're missing here in America--something about the juxtaposition of traditional and contemporary, the comfort in simplicity, and the muted palettes. I have been particularly inspired by Humphrey Munson, a bespoke kitchen design firm based in the UK. If my kitchen turns out half as stunning as any of these, I think I did something right.